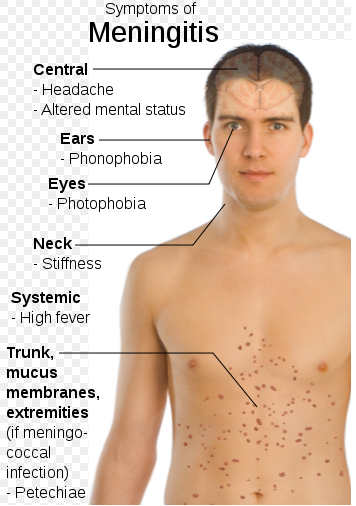 Connecticut state health officials are reporting a confirmed meningococcal meningitis case in a Central Connecticut State University in New Britain, CT student. “We are working with CCSU officials and local health departments to investigate what thus far is a single case of meningitis in a CCSU student and to ensure that people who have come into close contact with the patient receive antibiotics as a precautionary measure, said Connecticut Department of Public Health Commissioner Dr. Raul Pino. Dr Pino continued, “This type of bacterial meningitis is not easily transmittable from person to person – it requires close contact over a period of time. Simply being on the same college campus or being in the same classroom as an infected individual does not increase the chances of becoming infected. Individuals who have come into close contact with this student either have been or will be contacted by CCSU or local health officials for appropriate follow up.